Biscuits and Gravy, Deep Pit Sandwiches, Tri-Tip Sandwiches, Dodger Dogs, Hot Links, Hot Dogs, Hamburgers, and Many More!! Email mattlangston2@icloud.com to hold a spot only. Receipt of Payment by December 9th, is confirmation of entry into tournament. 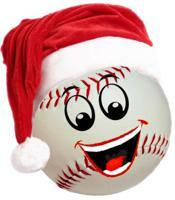 * Each Player is Encouraged to Bring a New Unwrapped Toy (Value $10 Minimum). Toys and a Portion of Team Entry Fees Will Be Donated to Various Children Groups in Our Community.